Cultural holidays: The vibrant city of Marrakech has long been established as one of the most important cities in North Africa, let alone Morocco. Its streets are densely packed with cultural sights and sounds, most notably in the elegantly designed mosques, grand palaces and intriguing museums. And how could we forget the markets – they’re a must-see on Marrakech holidays. Amazing markets: It’s fair to say that Marrakech holidays are the best in the world for market shopping. Nowhere is this exemplified more emphatically than in Djeema El-Fna, one of the largest market squares in Africa. 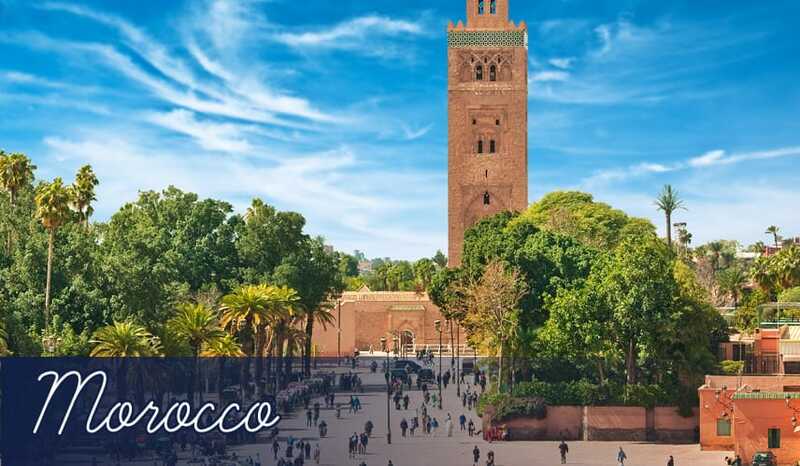 Situated in Marrakech’s old town, it’s a hive of activity throughout the day and night, boasting all manner of stalls offering cinnamon tea, tagine and couscous, as well as exciting performances like street dancers, snake charmers and magicians! Koutoubia Mosque: The largest mosque in Marrakech, incredibly this elaborate religious temple dates back to the 12th century so it has some historical interest too. Of particular beauty is the minaret (standing 69m high) which is believed to have influenced the design of towers for many mosques and churches in Europe too. It’s certainly an important site worth seeing on your holidays in Marrakech. El Bahia Palace: Built in the 19th century, the attraction of this palace for those on Marrakech holidays lies more in its aesthetic, artistic beauty than its age. The courtyard and gardens are particularly alluring as a pleasant spot to rest during your Marrakech holidays, as is the ornate detailing you’ll find in almost every inch of the interior. Saadian Tombs: These wonderfully decorative tombs date back to the 16th century, although they were only discovered again in 1917. The pleasing symmetry of the geometric patterns and engravings are incredibly beautiful, making the tombs a top destination for many tourists having holidays in Marrakech. Majorelle Gardens: This colourful garden was created in 1924 by the French artist Jacques Majorelle. It’s certainly held its allure over the years, as by 1980 the famous fashion designer Yves Saint Laurent bought the park, and his ashes were scattered here in 2008 after he died. Cacti and palm trees are interspersed by eye-searing cobalt blue buildings, including the Islamic Art Museum of Marrakech. This interesting little museum actually includes some of Yves Saint Laurent’s North African fabrics from his own personal collection, which you can still see on Marrakech holidays today. Marrakech Museum: This impressive museum is housed in the Dar Menebhi Palace which was built towards the end of the 19th century. The museum has an exclusively Moroccan focus, with the country’s native books, paintings and pottery all forming part of the exhibitions here. However, the stunning beauty of the palace could certainly be seen as an attraction in its own right on Marrakech holidays. Golfing holidays: There are three golf courses all within close proximity on Marrakech holidays. The closest of the three, Golf Royal, is surrounded by huge palm trees and lies at the foot of the snow-capped Atlas Mountains. While just across the road from Golf Royal you’ll come to Amelkis, Marrakech’s newest course which has been ranked very highly by a number of golfing publications. Finally, travel around 10km north east from the centre of Marrakech and you’ll reach Palmeraie, a luxury hotel offering all inclusive holidays in Marrakech which also has a top golf course as part of its grounds. Gastro MK at Maison MK: This classy restaurant serves high-concept cuisine artfully presented on the plate. Dishes such as calamari salad served with mango and aubergine tart with roasted tomato will give you an idea of the levels of invention on offer here. Even if you’re on all inclusive holidays in Marrakech, it’ll still be worth visiting this restaurant at least once! Amaia: This contemporary styled restaurant offers a wide range of authentic Moroccan dishes served in a friendly, informal environment. It also doubles as a bar later in the evenings so you could even stay for longer and join the party! 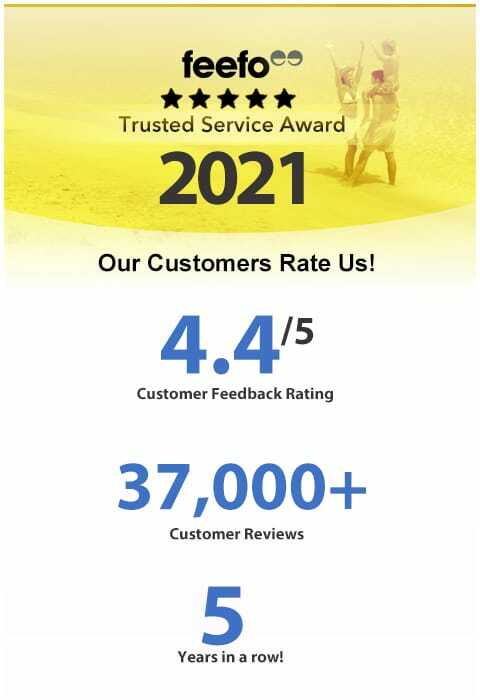 Prices are pretty low too, making Amaia a good choice if you’re looking for cheap holidays in Marrakech. L’Annexe: Another restaurant with a surprisingly sleek, modern design seemingly at odds with the expected old-world styling of Marrakech holidays. In these lavish surroundings you’ll enjoy classy French food such as steak in Diane sauce and creamy profiteroles. Variety of bars and clubs: Surprisingly for a Muslim city, Marrakech holidays offer an incredibly diverse array of lively bars and clubs. Admittedly, some of the best clubs and bars are actually run by the many hotels in the area, but you’re completely free to visit these, even if you’re not having all inclusive holidays at the hotels. Specifically, we’re thinking of nightspots such as Paradise in the Kempinski Hotel and the Casino of Hotel Es-Saadi. But there are some fantastic independent drinking establishments to discover on Marrakech holidays too, including White Room, Mama Afrika, Diamant Noir, and how could we forget Pacha? The world’s biggest clubbing brand has got a huge club set up here which boasts a swimming pool, two restaurants and a 50,000 watt sound system! Of course, if you do fancy a break from the bars and clubs during Marrakech holidays, you can always head to Djeema El-Fna. It’s open till late every night and features all manner of street performers to watch while you sip cinnamon tea and fresh orange juice. Djeema El-Fna: Marrakech holidays offer some of the best shopping experiences in the world, and it’s largely due to the huge market square of Djeema El-Fna. Open every day, both day and night, the variety of stalls here is simply staggering. During the day the atmosphere is slightly more sedate as street sellers offer you tailored rugs, perfumes, pottery and surprisingly good quality leather. Of course, you’re expected to barter on Marrakech holidays, ensuring the possibility to pick up some real bargains during holidays here! At night, the square becomes a full-blown entertainment centre with magicians, story tellers and snake charmers enticing people to enjoy their performances. All the while these street shows are accompanied by a range of stalls selling herb infused tea, orange juice and authentic Moroccan food like tagine, couscous and hearty lentil soups. The whole square is a real feast for the senses, and you’re certain to pick up some authentic souvenirs to bring back home from your Marrakech holidays.